Are you an insomniac? Proud night owl? Or maybe you’re an early riser… and it’s getting earlier and earlier. Whatever your habits, the reality is that over 30% of adults don’t get enough sleep! Our circadian rhythms are out of whack thanks to nights spent scrolling through our devices. In this episode, we chatted about why we need to go back to waking with the sun and sleeping with the moon, just like the good old days (remember how deep you slept then?!). Andrea Beaman is a internationally renowned Holistic Health Coach, Natural Foods Chef, Speaker and Herbalist. Named one of the top 100 Most Influential Health and Fitness Experts, she is also a recipient of the Natural Gourmet Institute’s Award for Excellence in Health-Supportive Education and a Health Leadership award from The Institute for Integrative Nutrition. 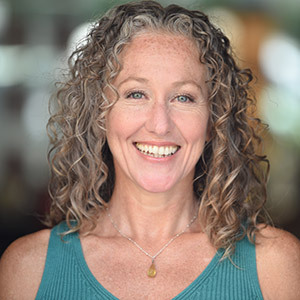 Since 1999, Andrea has been teaching individuals and health practitioners how to harness the body’s own preventative and healing powers using food, herbal remedies and alternative medicine.